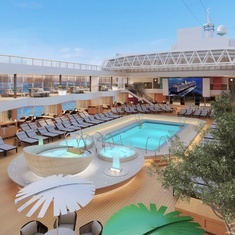 Koningsdam has 1331 cabins and 39 cabin categories. See what each category has to offer and read cabin reviews from the community. Canaletto''s menu, offering a variety of authentic Italian dishes to enjoy with family and friends, is designed around the Italian concept of spartire, meaning "to share". Wine venue in partnership with Chateau Ste Michelle of Washington that allows guests to blend from among five red wines to create their own wine. Art works are displayed for purchase.